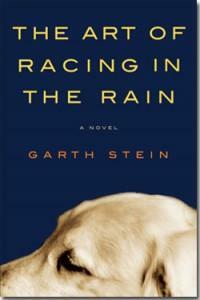 A novel written from a dog's perspective, I was hesitant to read The Art of Racing in the Rain for this very reason. But once I picked it up, I couldn’t put it down. If you have a dog or have ever had a pet, then this book will speak to you and make you appreciate your animal on an entirely different level. I loved the narrator, Enzo, the loyal and surprisingly articulate dog, who so desperately wants to be human. The plot is simple, but also emotional, charming, and honest. The canine narrator provides many wonderful insights into the human condition. This book is not about a dog or even about racing cars, it is about family and unconditional love. It is about the value of appreciating life in the moment and creating your own destiny. This book gives you hope of better things to come, in this life or the next, although be warned, I cried...more than once. Both heartbreaking and hilarious, I would recommend this book to anyone who enjoys an easy read on a rainy Sunday afternoon.